The Realities Centre is a recently-unveiled initiative that aims to support virtual, augmented and mixed reality development in the UK. Its ‘incubator’ project, announced in London on Friday, will be key in its efforts to do so. We spoke about the idea with Kevin Joyce, co-founder and editor-in-chief of VR Focus, who acts as an advisor to the Realities Centre. Already drunk the VR Kool-Aid? Here are the best VR games on PC. The Realities Centre is a co-working space for developers in the immersive technologies – so virtual reality, augmented reality and mixed reality. Based in the Cocoon Networks building in London, near to Google UK and the so-called ‘Silicon Roundabout’, it offers such amenities as a gym and gaming lounge besides the chance to work alongside other tech start-ups. Aspiring developers can buy a slot to hold a meeting, or can rent offices to work from 24 hours a day, seven days a week. “The idea is to be flexible to work with anybody’s budget,” says Joyce. A full 360-degree mixed reality ‘cave’ is also under construction, to help indie developers make MR trailers for their games. The incubator, however, is targeted specifically at smaller studios, and will offer investments of around £25,000 to £30,000 in exchange for a small amount of equity. As part of the arrangement, studios that are selected will also be able to use the Realities Centre itself as a workspace. The incubator will aim to find and support start-ups in the immersive technologies on a continual basis. “There will be five teams in each cohort,” says Joyce, “and the idea is to have three cohorts per year”, with the first starting in around June 2017 if all goes to plan. As an adviser to the project, it’s up to Joyce to pick the most innovative or commercially viable applicants. The team are hoping that developers will share ideas and practices as they churn through the centre, spreading knowledge throughout the UK’s immersive tech scene. In the longer term, the Realities Centre has had early talks about expanding elsewhere in Europe, and possibly China. If you’d like to learn more about the Realities Centre – or if you’re a start-up developer and you want to apply to the incubator – head over to their website. It’s easy to get swept up in VR evangelism when talking to a true believer like Joyce, so I conclude our talk by querying his confidence when scepticism is on the rise (seePhil Iwaniuk). He compares the technology with touchscreens, reminding me that once upon a time, they were seen as a gimmick too. “The Nintendo DS was the first touchscreen consumer device, and if it weren’t for the DS, the iPhone would never have existed.” Joyce says VR is at the DS phase right now, but he’s confident it’ll wind up at the iPhone phase, with tens or even hundreds of millions of units sold. “I see it coming in waves,” he says, and for the time being, the waves are still coming in, with Sony having just launched PS VR and Microsoft having announced a new range of more affordable headsets. 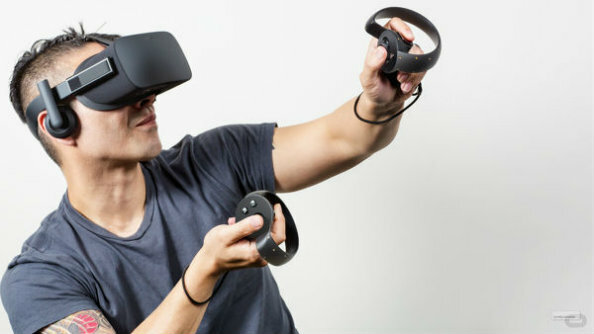 He’s also confident that Facebook’s endless money will sustain the Oculus Rift through these difficult early years of high consumer prices and hesitant developers. Joyce is convinced that Sony, Oculus, and Microsoft will keep the hardware market afloat long enough for a few more waves of blockbuster games – and perhaps a few indies developed at the Realities Centre – to bring a large consumer audience to VR for good. 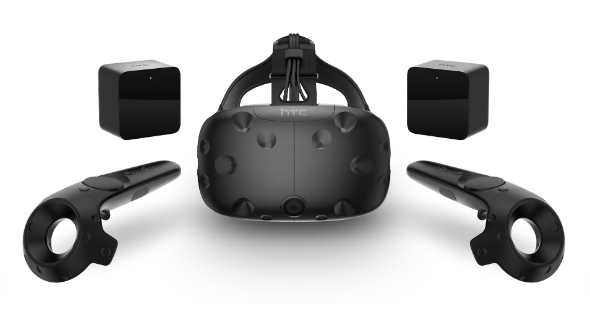 To hear him tell it, immersive tech is here to stay.